This is a lovely treatment & makes hair really soft & shiny, just going to use it once a week as quite pricey. Doesn’t seem much in the pot, but you don’t need much of it, would recommend. I have long (mid back) thick dark hair, naturally wavy and bleached ombré that is almost a year old that I’m growing out. I have used many hair treatment masks, but this one truly is spectacular. It’s a salon treatment at home. It drastically improves hairs texture and my oh my it helps my shine. 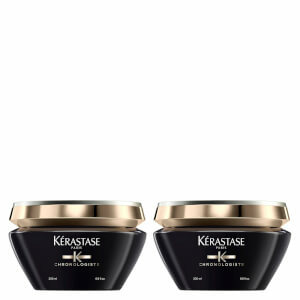 I use this with Keratase Colour Protect Shampoo and I’ve had non stop compliments for how shiny my hair is. Without serums and shine sprays! A walnut sized amount is enough to massage into my hair. Despite the tub saying once a week due to the price I only use it when I feel my hair is looking parched. The only reason I have given the product 4* is due to price. It’s a great conditioner however I’m not sure the price is justified. This is my favorite hair product! Makes them so soft and amazing. This mask is a miracle. 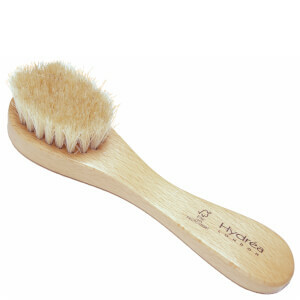 Lovely consistency, smell is very pretty and most importantly it moisturized my hair very well. I am very happy and impressed with the astonishing effect. :) and I highly recommend it ! OK, so I only used this half an hour ago for the first time but the smell when you open the lid is a lovely perfume. 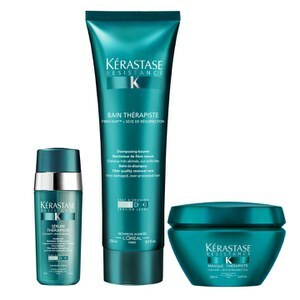 It was an unexpected surprise and I'm a seasoned Kérastase user. I then finger-dried my hair and I didn't need to use a brush AT ALL! The product is that good. I've clasped my hair up and used Toppix volume serum at the front as I have thin coloured hair, and I'm a happy bunny. I have no frizz, hair smells lush and I didn't need to get a brush to my hair whilst blow-drying let alone straghitening irons. So far this is amazing. I'm looking forward to tomorrow morning to see what my hair is like when I wake up. 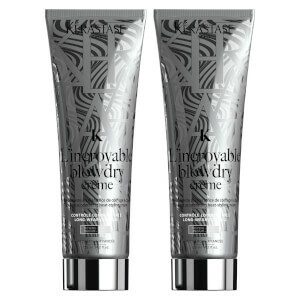 With this product I can wash my hair the day I need it to look nice - not the day before. It used to be the day before as my hair would frizz up even with straightening irons. This balm is the first product I tried from the brand. My hair is thin, slightly wavy and non dyed. I use hair irons to make it straight on the regular basis so this balm works perfect for me: it adds weight. As a result, I got super straight heavy shiny hair which stays this way two full days. I don’t mind the scent, it’s not overwhelming and disappears when hair is dry. One star off for the jar - nice but totally unpractical. Oh, one more thing: this product is not for everyday use for sure, it will build up pretty fast I guess, so make sure you use deep cleanser shampoo in between. After using for only one time, my hair looks shinny and became naturally smooth and soften! Amazing! I would recommend it to all the people I know!